(Agence Ecofin) - Natural gas will account for a quarter of the world’s energy by 2026 and will become the primary source of energy, ahead of oil and coal. This is essentially what emerges from the new study of the Norwegian shipping classification company DNV GL, named: 2018 Energy Transition Outlook. This study comes exactly one year after another of the same type, led by the company, which predicted that natural gas would emerge as the world’s largest source of energy in 2034. According to the study’s developments, global oil demand will peak in 2023 and natural gas demand will continue to increase until 2034. Anything that will only be possible with the upsurge of upstream investment. To this end, the document forecasts an increase in global gas expenditures up from $ 960 billion in 2015 to a peak of $ 1.13 trillion in 2025. Among other highlights of this study, Northeastern Eurasia, the Middle East and North Africa will continue to account for most of conventional gas production by 2050, while North America will continue to dominate unconventional gas production. In offshore, the Middle East and North Africa will experience the highest annual rate of gas production, by at least 2050. In addition, DNV GL expects global liquefaction capacity to double by the end of the 2040s. As for gas trade, that of sub-Saharan Africa to India and South-East Asia should increase very strongly. So Natural Gas will be the BIG Winner in 2026, years years to go! The article makes NO mention of Cameroon or indeed West Africa. Nor any mention of the uptake of Gas by ENEO from VOG, so what’s your point??? Kevin Foo told us it was “imminent”. I’m getting impatient now. He shouldn’t have told us it would be wrapped up within 2 weeks. lol, you still here! It was under the title of ‘General Interest’ therefore not intending to make any point! (Invest in Cameroon) - Re-elected after the presidential election of October 7, 2018 with 71.28% of the vote, Paul Biya, the head of state of Cameroon, was sworn in Parliament on November 6, in Yaounde. After having made a solemn commitment to exercise the presidential office, Mr. Biya delivered a speech setting his seventh term of office for the period 2018-2025. " We will continue our structural reforms to strengthen our fiscal balance and strengthen the sustainability of our debt. Sound finances are indeed the condition of the attractiveness of an economy and, therefore, its ability to host investments. "Said the President of the Republic. Paul Biya said he will develop sectors of the economy that can significantly reduce imports of goods and services. Moreover, he urged the government to carry out a true “agricultural revolution” by modernizing the means of production and further transforming agricultural products. This should go hand in hand with the provision of new equipment, storage warehouses and access roads. The state will continue, according to Mr. Biya, to exploit all the available sites and waterways in order to make Cameroon, a major electricity producer in the continent. In the same way, the State will continue to develop transport infrastructure (roads, ports, airports) for the benefit of the Cameroonian economy but also, to facilitate communications with neighboring countries. Paul Biya made a personal commitment " to promote the revival of economic growth, creating jobs, especially for young people, and likely to improve purchasing power; to promote the role of women in our society; to facilitate the social integration of young people by further developing our education system, at all levels and with a focus on professionalisation; to fight against exclusion, in particular by better protecting people with disabilities ". During the current seven-year term, the Head of State promised to strengthen the health system, opening new hospitals and finalizing an effective social security system; to promote a social housing policy worthy of the name; enhance the cultural heritage. Not to mention, finally, to give the sports sector the support it deserves, so that the efforts made to host the African Cup of Nations (CAN) 2019 receive their just reward. Does anyone know off hand if there are Cameroonian financial institutions that have invested in VOG? It would be great to know if there are any domestic interested parties in VOG too. mangelin, if you look at the VOG website it shows holders above 3% (updated July 2018). The entire installed generation capacity of Africa’s 48 Sub-Saharan countries is just 68 gigawatts, no more than Spain; this is according to the Africa’s Infrastructure report conducted by the World Bank. Up to one-quarter of that capacity is unavailable because of aging plants and poor maintenance. In Sub-Saharan Africa, just one person in five has access to electricity. If current trends continue, fewer than 40% of Sub-Saharan African countries will reach universal access to electricity by 2050. Per capita consumption of electricity in Sub-Saharan Africa (excluding South Africa) averages only 124 kilowatt-hours a year and is falling. The rate of consumption is barely 1% of that in high-income countries. If entirely allocated to household lighting, it would hardly be enough to power one light bulb per person for three hours a day. Marleze van Loggerenberg who is the Head of Business Development Africa at Wipro Limited, had an exclusive interview with Construction Review on how emerging markets in Africa can transform utilities through disruptive technology. She recently attended the Sub Saharan Africa Power Summit in South Africa which according to her was a very eye opening summit. 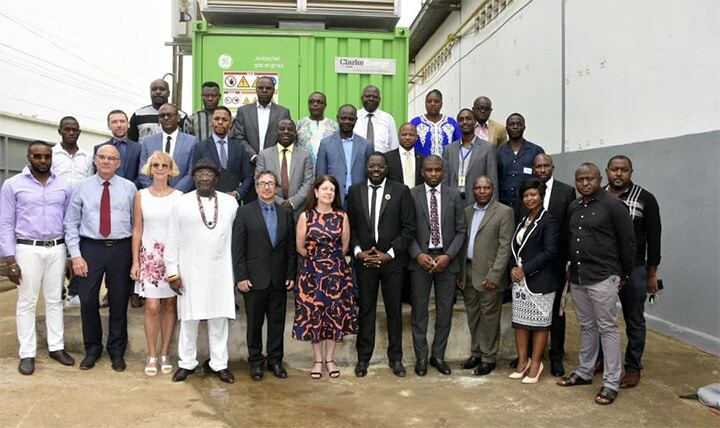 What stood out for her was that in attendance were various African countries including South Africa, the senior decision makers from the IPP, PPP and National Power communities across the region. Also, how people came together to discuss the challenges that Africa is facing and trying to find solutions around it and the real time interactions among the people was very successful. I just re-watched the two proactive investor videos from August and October. We are now coming to the end of the year. Do VOG have enough cash? Foo said that they have enough till the end of the year but what about next? And ENEO is becoming distant. Its starting to not look good now. We’re looking at another placing. Who in their right minds will buy. A penny, or should I say a share in VOG, for anyone’s thoughts. 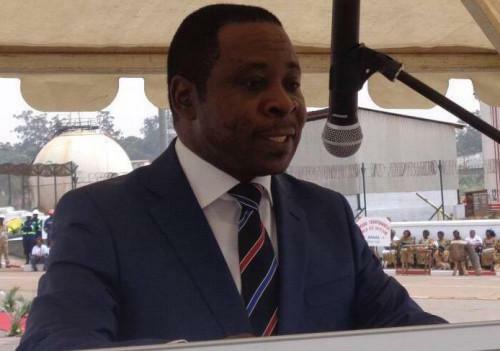 (Invest in Cameroon) - On the occasion of the annual conference of the Ministry of Water and Energy, Gaston Eloundou Essomba (photo), the minister of the sector, announced on January 23 in Yaoundé, that his services have complaints about the quality of water and electricity. Indeed, it has been several months since consumer associations complain about water cuts. Worse, this liquid supposed to be odorless, colorless and tasteless when running faucets, presents a curious yellowish color or downright blackish. Some users say that sometimes this water tastes like chlorine. Minister’s response to these recriminations: " With regard to the public water and sanitation service, we are still receiving complaints about the quality of the service provided, so I [your colleagues] invite you to deepen your reflection to make proposals for improving the quality of drinking water supply service, because as the saying goes, water is life . Regarding electricity, Gaston Eloundou Essomba said that the best quality of public service will pass by the significant reduction in the number, but also the cut-off time. " For this, I expect from you proposals for reliable indicators to allow dealers Eneo and Sonatrel [National Electricity Transmission Company] to work in this direction in accordance with contracts that bind them to the state . " I’ll split this into two posts to try and explain what’s happening with Agrocam and the “inaugural event for the opening of the new CHP Plant supplied by Clarke Energy” when they had the Plant back in February 2017! It must be just for publicity which is great, as it highlights the benefits of these units to other industrial companies trying to combat the regular power-cuts in this region. Next post with article was the reason for this one! Clarke Energy installed the Jenbacher J316 engine at Agrocam’s leading poultry hatchery to address the fundamental challenges related to long-term power outages, which have a great impact on poultry breeding in Cameroon. Agrocam had previously used a diesel generator as backup to the grid to ensure routine operation of its hatchery, which proved to be costly given the prolonged hours of grid power outages in addition to the higher levels of emissions associated with diesel generators. Clarke Energy’s management team then highlighted our expertise in energy efficiency across the twenty-five countries in which we operate in. This was followed by long-term clients and partners in Cameroon testifying the suitability of gas engines for power generation to provide all or part of their electricity and heat requirements. In particular highlighting that solutions are able to provide resilience of power supply, helping avoid recurrent electricity cuts that directly affect the productivity of the customer’s factories and subsequently deteriorate the competitiveness of their products. Yep, looks like a Clarke Energy publicity iniciative and nothing wrong with that! 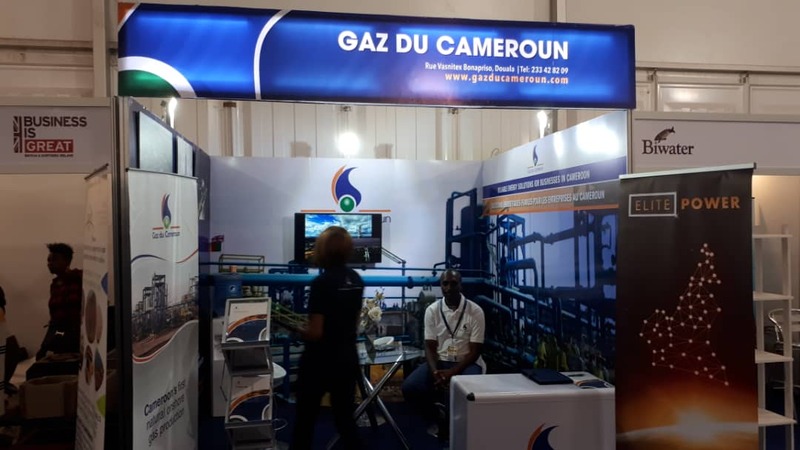 Globeleq, which manages the Dibamba fuel and Kribi gas power plants in Cameroon, has just signed a collective agreement with its employees, under the supervision of the Cameroonian Ministry of Labor and Social Security, official sources reported. This agreement introduces benefits in terms of housing and transportation allowances, and provides for an increase of 3% of employee wages. 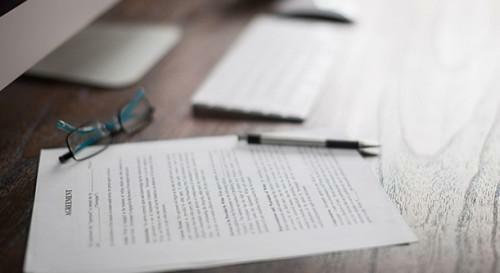 According to Globeleq, this collective agreement aims at the added value generated in Cameroon. The company said it produces a quarter of Cameroon’s electricity production. Formerly controlled by the British investment fund, Actis, which holds a majority stake in the capital of Cameroon’s power utility (Eneo), Globeleq Africa has been since 2015 controlled by a consortium held by the Norwegian investment fund, Norfund, and the British financing institution , CDC Group. Globeleq own Dibamba Power station and has plans for the conversion of their heavy fuel oil engines to natural gas fired units.